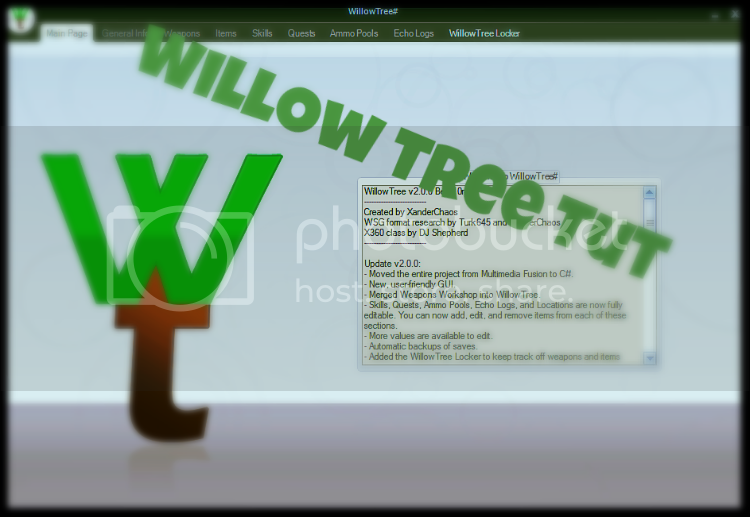 If you are interested in working on the WillowTree# project, check out the SourceForge page. Main Page - Contains version number and info about the program. 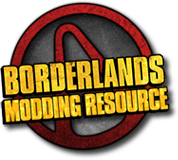 General Info - Contains information regarding the character's name, class, experience, level, and money, along with other basic details from the beginning of the save. Items - Lists all non-weapon backpack items. Ammo Pools - Lists the ammo information. WillowTree Locker - Keep track off weapons and items between saves. Weapons/Items can be given custom names, commented on, and rated.